TOP: Newly-ordained Dn. Gabriel Tannous with Bishop Nicholas. BOTTOM: Fr. Edward and his family at his new parish in Illinois. June always brings a wonderful sense of quieter days in town, and slower schedules for many families. But church life picks up a bit of speed after the wondrous celebration of Pascha: Pentecost, the Apostles’ Fast, and the feasts of St. John the Baptist and Ss. Peter and Paul. Virtually the whole month is spent rejoicing in the power of the Spirit. But it is somber rejoicing compared to Pascha. After Pentecost and a fast-free week, the feast of All Saints heralds the advent of another fast, although milder than Lent. The Apostles’ fast teaches us the ongoing self-denial needed for life in the Church, the Body of Christ, taking up the cross and following Christ, becoming disciples ourselves first that we might make disciples of all nations; lest the message of Lent be lost on us and the reason we rejoiced in Pascha and Pentecost be forgotten until next year. Archbishop’s Visitation. Don’t forget that His Eminence Archbishop Melchisedek joins us this year for Pentecost, our temple feast. See the lead article or the attached monthly calendar for a full schedule. Vacation Bible School takes place June 16-20 at 5:15 p.m. for the kiddoes and their buddies between the ages of 4-12. Supper is provided each evening. (More information is on the next page). Survey Says… Jennifer McClure will present the results of the parish survey that was conducted this spring during two focus groups this month. The purpose of these sessions is to collect your candid feedback on the results to develop further consensus about what hopefully is God’s will for our future growth. They take place on Wednesday, June 4 at 7 p.m. and Saturday, June 14 at 10:30 a.m. Pick a time that works best for you and your family. Axios! On May 11, seminarian Jabra Tannous was ordained to the Holy Diaconate at St. George Antiochian Orthodox Church in Danbury, CT, taking the name Gabriel. His Grace Bishop Nicholas of the Antiochian Orthodox Christian Archdiocese of North America presided. Deacon Gabriel graduated from Penn State in 2006 and served as OCF president. He is the sixth OCF alumnus from our campus ministry to be ordained in the last nine years. Many Years! 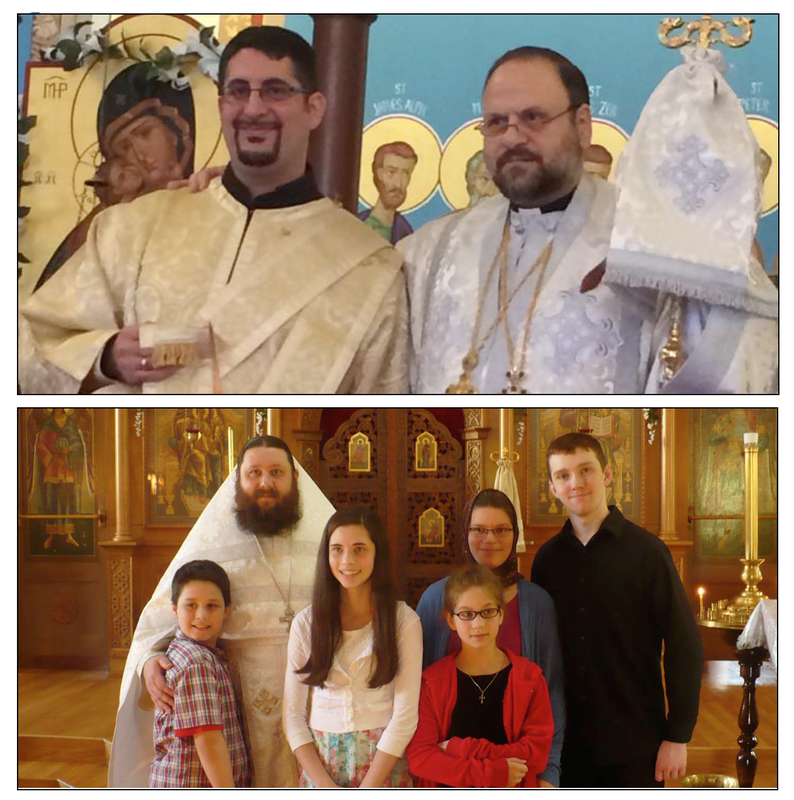 Deacon Edward Batchko, who interned at HTOC last summer, graduated from St Tikhon’s Seminary late last month and was ordained to the Holy Priesthood by His Grace Bishop Peter of the Russian Orthodox Church Outside Russia in Des Plaines, Illinois, on Ascension Day. Axios! Chapel Loan. A parish vote to authorize the Parish Council to negotiate a loan for $160,000 for the construction of the Chapel of the Holy Spirit is set for June 22 at both HTOC and CHS. Two meetings will be held in State College to discuss this important matter on Wednesday June 18: one at 10 a.m., the other at 7 p.m. A third meeting will be held at the Chapel, date and time to be determined.